Reiki is a spiritual practice developed in 1922 by Japanese Buddhist Mikao Usui. It uses a technique commonly called palm healing, or laying of hands, transferring healing energy in the form of ‘ki’ through the palms. Meaning ‘Universal Life Energy’, Reiki is a simple, non invasive treatment performed over clothes. The healing energy is channelled through the practitioner’s hands to the recipient for physical, emotional, mental and spiritual well being. Reiki balances the flow of energy through the body and gently releases any blockages that can lead to ill health. Inducing feelings of peace, calm and well being, it is particularly effective in the treatment of stress and releasing emotional blockages. Typical treatment time approximately 60 mins. This is the use of pure essential oils to improve physical and emotional well being. The oils, extracted from plants, have specific properties to work on both physiological and psychological levels. It is used to treat a wide range of conditions and is particularly effective in the management of stress and the treatment of conditions such as anxiety, fatigue, insomnia, menstrual and menopausal symptoms, weakened immune system and muscular pain and tension. The treatment process starts by taking a detailed medical history to ensure the most appropriate oils are selected in the treatment of specific conditions. The oils are then applied by therapeutic massage to aid absorption, boost the circulation and promote relaxation and a feeling of wellbeing. After care and advice for continuing the treatment at home is given to ensure the best possible results are achieved. 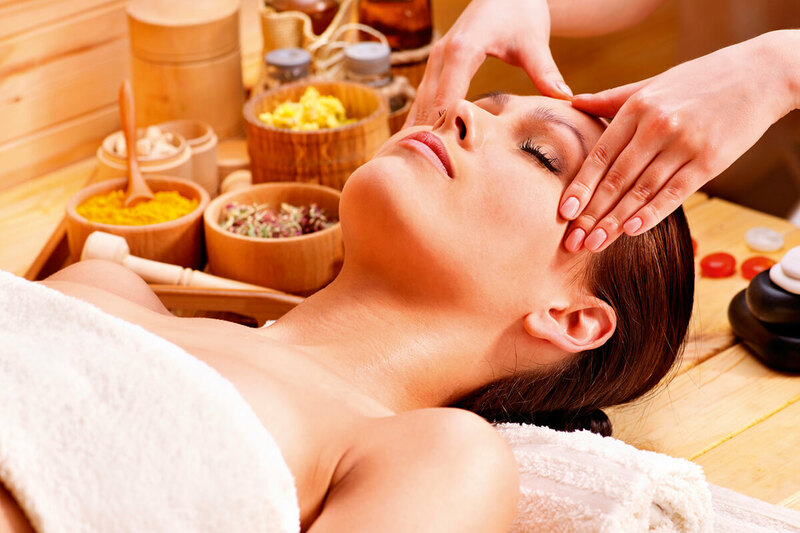 A truly holistic therapy, aromatherapy aims to treat the whole person as opposed to the symptoms alone. Initial consultation and treatment time approximately 90 mins. Back, neck & shoulders massage approx. 45 – 60 mins. Full body massage approx. 75 mins. 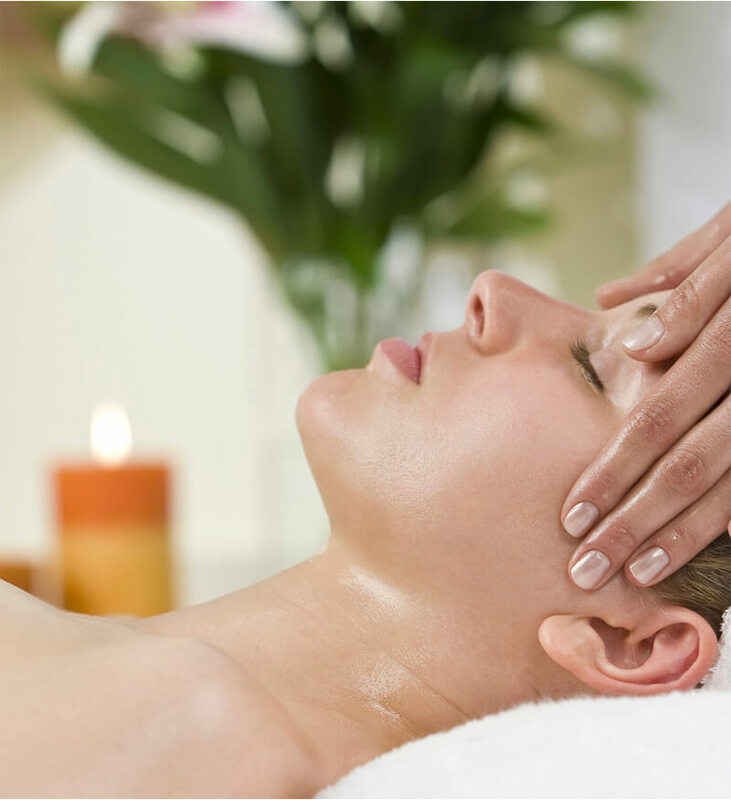 Indian Head massageoriginated in India over 1000 years ago, and is based on the ancient Ayurvedic healing system. This is an extremely effective massage therapy which focuses on the head, neck and shoulders, where stress affects major muscle groups. It offers immediate relief, melting away knots of tension and restoring fluidity of movement. In addition, the efficiency of the circulatory and lymphatic systems will be improved and toxins dispersed from tense muscles. This massage promotes a deep sense of general well-being. Created by Harley Street doctor, Edward Bach, in the 1930’s, the remedies are a simple and effective method of healing, using the flowering parts of shrubs, trees and plants. They help us manage the emotional demands of everyday life by gently restoring the balance to the emotions, dispelling negativity and bringing harmony to the body. Typical consultation time approximately 60 mins. This is a very well established treatment for ear and head problems. Working on the chimney principle, the flame warms the air in the hollow candle drawing out debris and impurities. The movement of the flame creates a vibration of air which has a massage like effect on the ear drum. Both ears are treated, followed by a relaxing face and neck massage. By balancing the pressure in the inner ear, the therapy is beneficial for vertigo and pressure relief from flying. It is also particularly effective in the treatment of excessive ear wax, tinnitus, sinusitis, headaches and glue ear. Typical treatment time approximately 45 mins. Natalie believes that in order to achieve health and well being, the body needs balance physically, emotionally and spiritually. 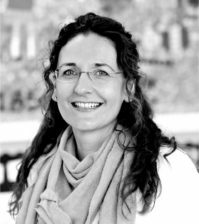 Having trained at the Cotswold School of Clinical Aromatherapy, The Dr. Edward Bach Centre and the Holistic Training Centre, she has a wide range of skills and experience combined with a thorough understanding of how the body works. Her therapies give her the wellness tools to help restore balance to the body aiding physical health, mental clarity and general well being. A mother of two, Natalie recognises the demands of modern living on our bodies and has helped many people through times of change, including pregnancy and childbirth, emotional and physical pressure and ill health. By treating the person as a whole and not just the symptoms, it is possible to identify areas of imbalance and aid healing by stimulating the body’s natural ability to heal itself. Natalie has a unique ability to tailor her treatments to the needs of her clients. She always provides a calm and welcoming atmosphere and her dedication to complementary therapies is second to none. I had been looking for a person who could give a good strong massage without much luck until a friend mentioned Natalie. I booked a meeting and we went through my history and what I thought was wrong. Natalie completed a treatment and recommended a course of treatments, since then I have not looked back. I now feel Natalie knows me and my body without needing the pre-treatment consultation which she insists is still completed. I have recommended her too many friends and the feedback is always very positive. I am moving away from the area but will continue to visit Natalie until I find someone who matches the very high standards I have now come to expect, this I believe will be a very hard thing to do. Natalie is a professional and skilful practitioner and I wouldn’t hesitate to recommend her products and treatments. Natalie was recommended to me by a friend and I have now been seeing her for regular aromatherapy massage treatments for several years. Depending on the combination of oils used, I can leave feeling a) relaxed and calm, like I am floating on a cloud or b) revitalised and uplifted, ready to face the world. Natalie’s knowledge and experience enables her to tailor her treatments to meet individual needs. This inspires confidence and I feel totally at ease with her. Her treatments are an important aspect in helping me to cope with a busy and demanding lifestyle. I have also given several of my family members and friends gift vouchers to enable them to experience the ‘magic’ of Natalie’s treatments. Natalie gave hand and foot massages to Mum on a regular basis for the last 2 years of her life, and with each visit she brightened Mum’s day. Natalie’s skill, attunement and wonderfully loving touch always left Mum feeling ‘so much better’ and Natalie’s kind and friendly ability to chat to her was just as welcome. Following Natalie’s treatment on the day she died, Mum became so deeply peaceful and left this earth in so much light. I am so grateful. Natalie is a well qualified and experienced practitioner/aromatherapist who I would highly recommend. She is easy to talk to and will put clients at ease, she is sensitive to individual client needs , and can provide a range of treatments and advice in a calm and relaxed setting. I have been a client of Natalie’s for over 5 years and have recommended her to various friends in that time.